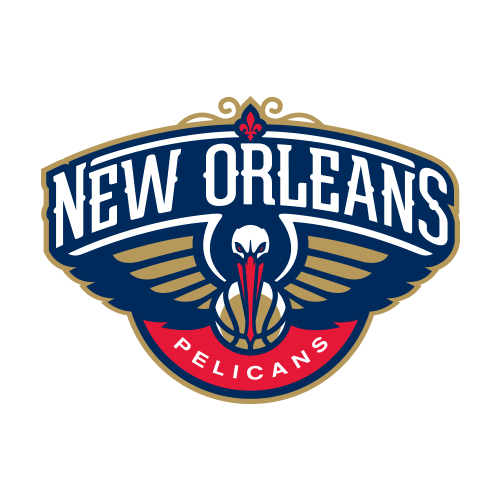 The New Orleans Pelicans have only been a team in the NBA for 23 years, but they have been on the move during those years. In 1988, the NBA expanded adding the Pelicans and the Miami Heat. They were not the New Orleans Pelicans though. They came into the league as the Charlotte Hornets. Most new teams struggle in their first few years in the NBA, and the Pelicans were no different. The difference with the Pelicans was that despite the struggles the first few years, they led the NBA in fan attendance in 8 of their first 10 seasons. The Pelicans were a fairly average team for the first decade or so in the NBA. They made the playoffs a few times, and they even won a few series in the playoffs. However, in the late 90’s the attendance of fans declined. They were one of the teams with the lowest attendance despite having a larger arena to play in. This led the franchise to pursue a move in location. In 2002, the Pelicans moved from Charlotte to New Orleans. The first two years in New Orleans, the Pelicans qualified for the playoffs. They failed to win a series, losing in the first round both years. The 2005-2006 NBA season was an interesting year for the Pelicans. They suffered injuries to some of their top players which led them to an 18-64 record which was the worst record in team history. Not only was this season horrendous, but the city of New Orleans was hit by a hurricane. This caused catastrophic damage to the city. Due to revenue concerns, the Pelicans temporarily moved to Oklahoma City. The team was referred to as the New Orleans/Oklahoma City Hornets. From 2005-2007, the Pelicans played home games in both cities. This led to a lack focus for the team. They struggled both seasons failing to make the playoffs in either season. The only bright spot in these seasons was the emergence of their point guard Chris Paul. Paul quickly became one of the best point guards in the league. He became their leader and most talented player. Under his leadership and talent, the Pelicans improved to a playoff team. In the 2008 season they moved completely back to New Orleans and ceased to play games in Oklahoma City. That season, they managed to finish with the second best record in the West and their best record as a franchise. They finished the season with a 56-26 record, but they only managed to win one series in the playoffs before losing to the Spurs who won the championship the previous year. After that season, the Pelicans began to go on a downward slide. They still managed to make the playoffs two out of the next three years, but their star player Chris Paul was becoming unhappy there. Paul was the sole reason they still were making the playoffs, and he felt the organization was not doing all that it could to put talent around him that could compete for a championship title. In 2010, the NBA bought the team from the owner. The NBA then had control of a franchise which made many people uncomfortable. Going into the 2011-2012 season, the Hornets decided to trade superstar Chris Paul. By this point, he was considered the best point guard in the league by many. The Pelicans, run by the NBA, decided to trade Chris Paul before he would become a free agent, and he could leave the franchise with the Hornets getting nothing in return for him. The management of the Hornets agreed to trade Chris Paul to the Los Angeles Lakers. In a much debated move, David Stern, the commissioner of the NBA, vetoed the trade. Since the NBA owned the Hornets, David Stern had the authority to veto any trades by the Hornets. This upset many people because they did not think it was fair for the leader of the NBA to be able to dictate trades. It seemed to upset the order of power in the league. A few days after vetoing a trade to the Los Angeles Lakers, David Stern approved to trade Chris Paul to the Los Angeles Clippers. Many believe that the Pelicans were able to get more value in the trade to the Clippers. The trade left the Pelicans in rebuilding mode. They acquired two young talented players as well as a veteran and a few good draft picks, but the trade left the team in shambles. It will take the Pelicans at least a few years to become a team in position to make it back to the playoffs.